One look at the puppy was all it took to know that someone really, really didn’t want her. 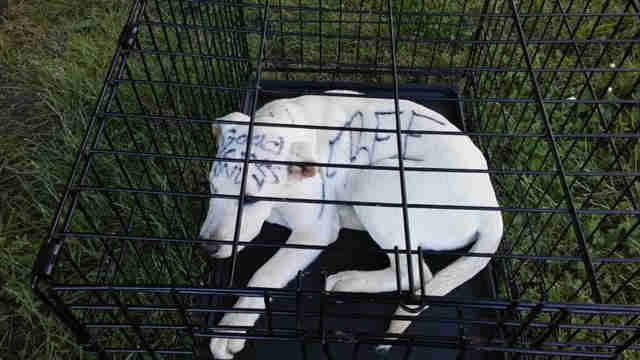 Last Friday, people visiting a city park in Chillicothe, Ohio, discovered the dog locked inside a wire cage that someone had left on the ground. 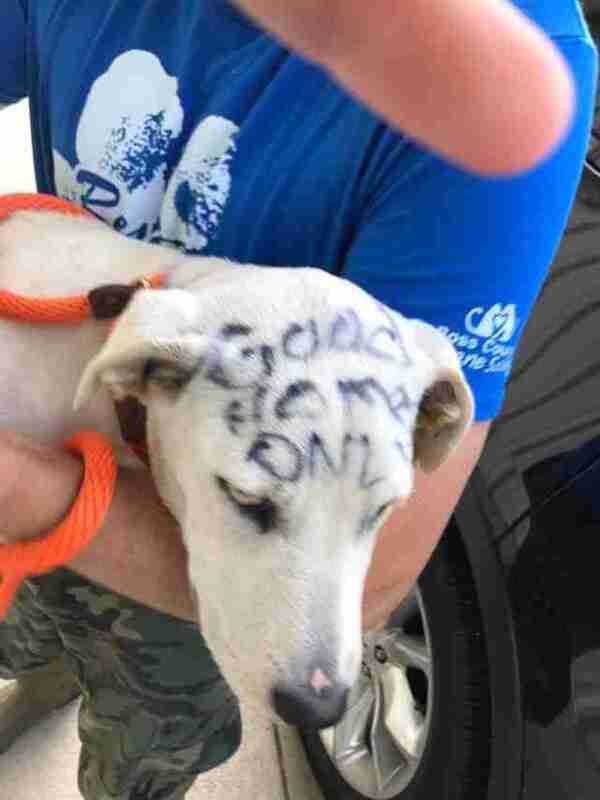 There was no sign of her owner — except the hand-scrawled messages that were written over her white fur in black permanent marker. The Good Samaritans who discovered the puppy called the police right away, and she was brought to Ross County Humane Society soon after. Monica Denney, the kennel manager, couldn’t believe her eyes when the puppy first came in. 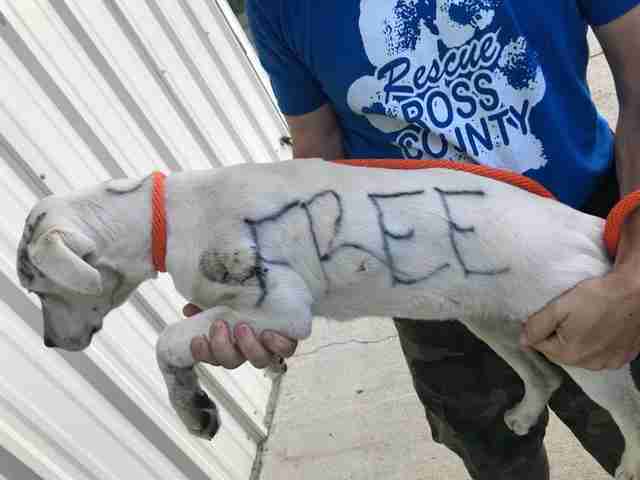 After a good scrubbing with dish soap and hydrogen peroxide, rescuers were finally able to wash away the marker from Marvella’s fur. 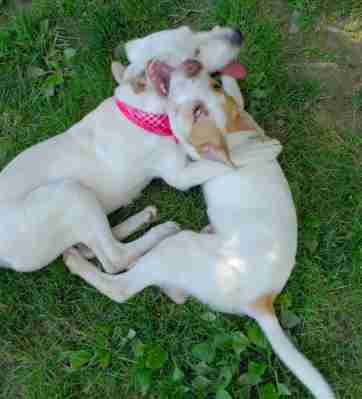 Although she was timid at first, she quickly perked up and began playing with other dogs and the shelter employees. Since Marvella is healthy and all cleaned up, she’s now available for adoption — and Denney is certain it won’t take her very long to find the perfect family. Until then, she’s taking every chance she can get to be cuddled. 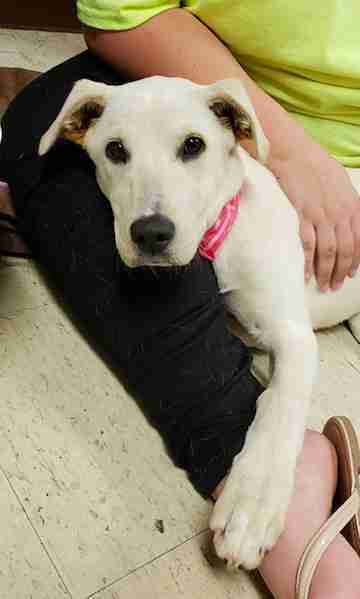 Local police also stepped in to investigate the case, and have zeroed in on the person who abandoned her. Denney said it’s likely charges will be pressed against the person very soon. 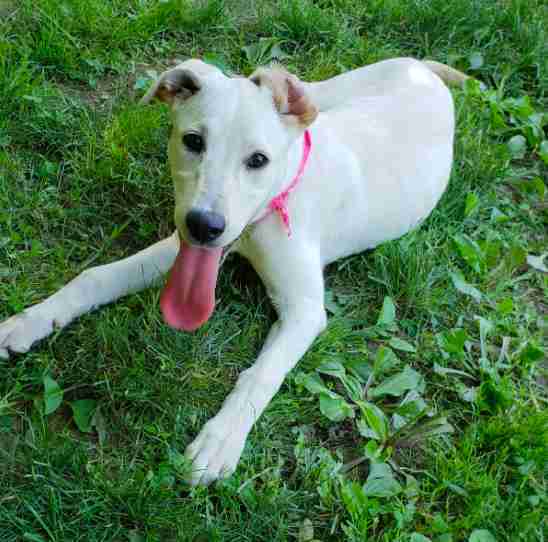 To help other pets like Marvella, you can make a donation to Ross County Humane Society.